The trend of watching online videos, both advertisements and content videos, has been steadily growing. In November of 2012 comScore reported that there were 182 million unique Internet users and nearly 40 billion videos watched. Forty billion videos—that is over 5 times the estimated population of the world! It is clear that video is quickly becoming the preferred method of gaining knowledge and sharing information. There are countless uses of video for businesses, including case studies, corporate overview videos, testimonials, training videos, and video news release (VNR). 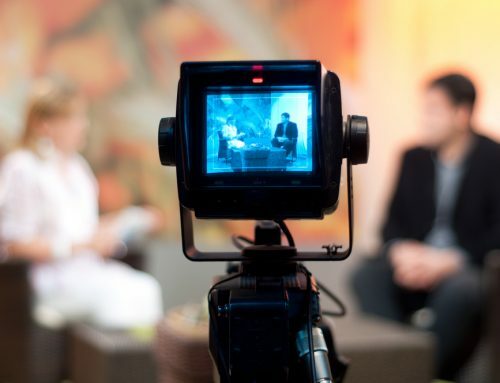 VNRs can be extremely beneficial when done and promoted correctly—especially considering video’s ever-growing popularity among consumers and business professions alike. Video is more engaging and easier to digest than pages of text and facts. As the old saying goes, “A picture is worth a 1000 words;” well then that makes video worth approximately 1.8 million words per minute (according to Forrester Research)! Not only are you able to convey more to your viewer, you are able to do so through sight and sound, both of which are more likely (than written word) to elicit an emotional response and engage a viewer. Much like other corporate videos, VNRs can be promoted through various mediums, such as, email, social media, websites, media outlets, or sent along with a standard press release. VNRs can be a powerful addition to your marketing repertoire. A video packs more punch than a standard release; it lets viewers see and hear from happy customers, see your product or services in action, and connect with your company in a more meaningful way. Some even say that written marketing and PR language will be a thing of the past (not really, thank you for reading to the end!). If you need help with your next VNR, contact us here. Black Tent is one the leading Cincinnati video production companies. We offer creative development, video production, post-production, and photography services worldwide; including commercials, corporate videos, web videos, product videos, trade show videos, event videos, and training videos.